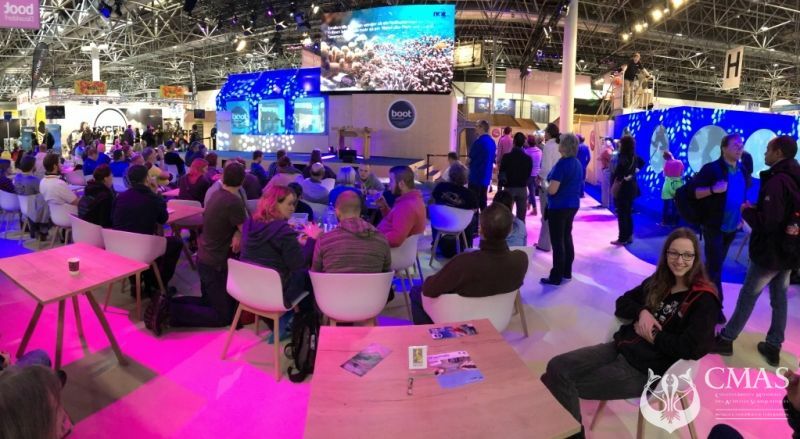 On 28 January, the International Year of the Reef (IYOR 2018) was officially launched in Germany at boot Düsseldorf, the world's largest water sports trade fair. 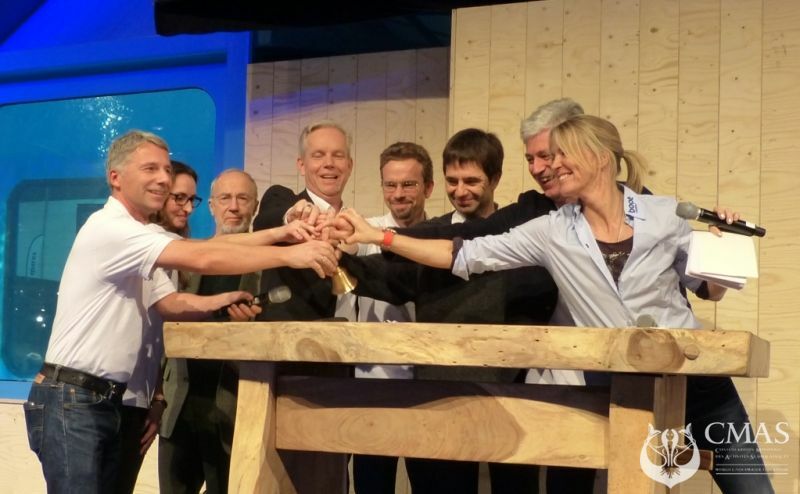 This global initiative, first launched in 1997, is now taking place for the third time. The cause is quite dramatic: during the past two years, the most severe global coral reef bleaching ever observed has taken place. Over 90% of the Great Barrier Reef in Australia, the largest reef complex in the world, has been affected, as have many other reefs around the globe. Recent studies have shown that the frequency of such mass bleaching continues to increase, barely giving the reefs time to recover. However, these massive impacts of climate change are not the only man-made problems facing coral reefs: Overfishing, destructive fishing methods, coastal development, pollution or agricultural runoff are now endangering around two-thirds of the world's reefs. This threatens to result in the loss of the most biodiverse marine habitat. Preventing this requires determined action on a global as well as local level. The purpose of IYOR 2018 is to raise awareness of the devastating prognoses for coral reefs and their effects on nature and humans as well as possible options for action in society. 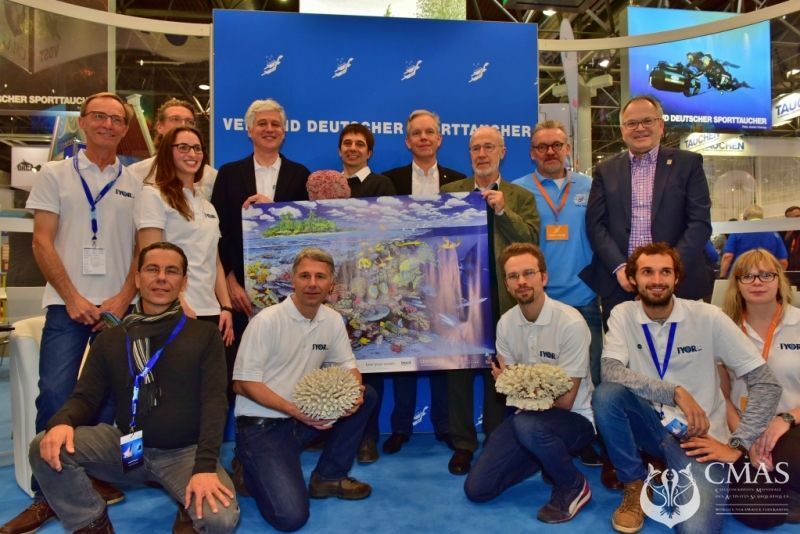 The official launch event took place under the patronage of the Geman Underwater Federation (VDST) with a welcome speech by Petros Michelidakis, director of the boot Düsseldorf trade fair, and with an introduction by the President of the CMAS Scientific committee Professor Dr. Ralph Schill. Leading German coral reef researchers, moderated by Anna von Boetticher, gave a brief introduction to the subject and presented various management options and ways in which everyone can help to protect the reefs. Present on the stage were Dr. Sebastian Ferse of the Leibniz Centre for Tropical Marine Research in Bremen, Professor Dr. Reinhold Leinfelder of Freie Universität Berlin, Marina Schiller, M.Sc., of Ruhr-Universität Bochum, Professor emeritus Dr. Helmut Schuhmacher of the University of Duisburg-Essen, Professor Dr. Peter Schupp of the University of Oldenburg and Professor Dr. Gert Wörheide of Ludwig-Maximilians-Universität München. Coral reefs contribute to the livelihood of half a billion people and are the planet's most valuable ecosystem, with ecosystem services such as coastal protection estimated at 600,000 US dollars per square kilometre and year. Although reefs cover less than 0.1% of the ocean's surface area, they feature one third of the marine fish species. 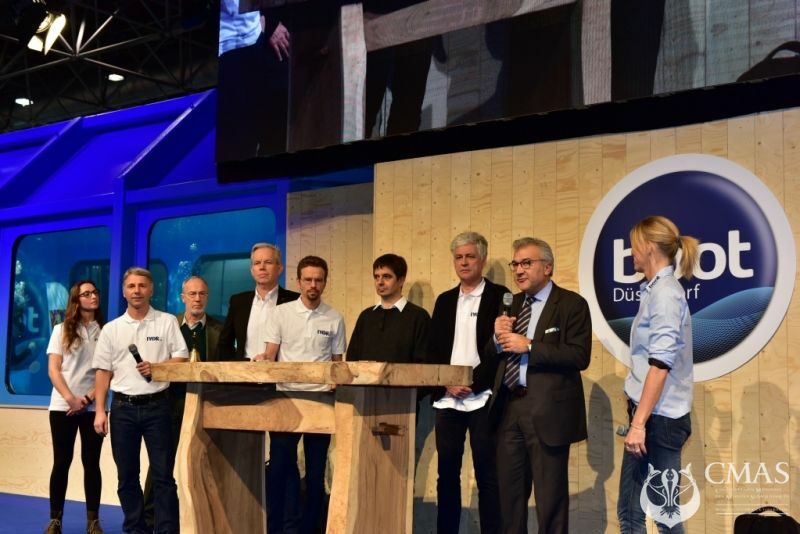 Reefs represent a particularly high economic value in the tourism industry – more than 36 billion US dollars are generated every year by reef tourism, which is why boot Düsseldorf is a particularly appropriate setting for the launch of IYOR 2018. Around 30% of the world's reefs are considered to be already destroyed by human activity, and climate models predict a regular bleaching of nearly 90% of all reefs by the middle of the century. Increased protection and management efforts for the remaining reefs are therefore all the more urgent. Each individual can take concrete behavioural steps in this direction, for example by reducing CO2 emissions, avoiding plastic waste, diving carefully and avoiding souvenirs from coral reefs, focusing on sustainable tourism or supporting reef conservation projects. Further information can be found on the official website of the Year of the Reefs, www.iyor2018.de. There, for example, events and teaching materials are listed as well as further links to the supporting institutions. It is also possible to invite reef researchers to give talks at schools, clubs and other institutions.